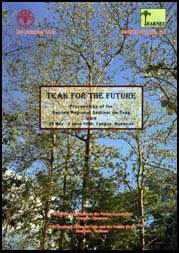 The designations and the presentation of material in this publication do not imply the expression of any opinion whatsoever on the part of the Food and Agriculture Organization of the United Nations concerning the legal status of any country, territory, city or area or of its frontiers or boundaries. The opinions expressed in this publication are those of the authors alone and do not imply any opinion whatsoever on the part of FAO. The photo credits given below are by page number in order of appearance. Copyrigt in all cases remains with the photographers, to whom FAO wishes to extend its thanks for their generous permission to reproduce their work.